The boys helped me pick out some paint so we could re-paint our kitchen. We're fortunate enough to have a large kitchen with large windows so we went with a dark navy color for the walls. This morning the boys were up bright and early, eager to help me paint. I used painter's tape to tape off all the trim, outlets, switches, etc and then the boys watched me brush around the outer perimeter of the room before they each took a turn with the roller. They had so much fun and did a really great job! 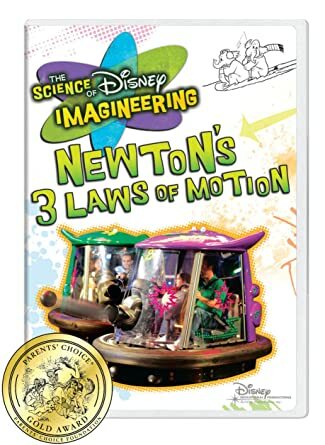 They soon lost interest and asked to watch The Science of Disney's Imagineering; Newton's 3 Laws of Motion. They just LOVED it! The movie is only 30 minutes and, while it was a bit advanced, they really enjoyed watching it. It didn't hurt that many familiar Disney rides and attractions are featured in the movie. After the movie was over I heard Alec saying they were trying to use the motion of Evan's body to get Alec's body to move just like the movie was talking about. They told me all about motion using simple terms rather than the scientific ones in the movie but I was pretty impressed. Alec finished off his Hula skirt that he made for his cousin out of duct tape and tried it on then decided to give hula lessons to Ian. It was hilarious and so nice to see these two really getting along. Alec then offered to make masks for each of his brothers and was hard at work most of the morning making a dog mask and a "regular mask." Ian wanted a silver one so he could be the silver surfer and Evan wanted to be a dog. While he was busy making things out of duct tape his brothers were playing "gold mine." They used the sink as a sluice, mini trucks as their mining equipment and they worked together to "cut down" trees and "dig dirt." After lunch, we finally decided it was time to wash up, clean up, and get ready for the day. I honestly had this moment when I was making lunch where I wondered what all the other families were doing on their vacation when I remembered that we weren't vacationing; we were homeschooling! It's rare that we have a day where all runs so smoothly and two days like that is just unheard of! Alec decided to spend the afternoon in the bathtub with a bunch of his animals and Ben 10 figures. Ian and Evan spent the afternoon using remote control vehicles again. Evan had great fun trying to crash his all- terrain vehicle into every available surface. It was pretty hard though, since it doesn't travel in a straight line. We also spent a good portion of our afternoon playing Life. The boys really enjoy the game and I love all the reading and math they're utilizing while playing. It also gives them a chance to plan out real life scenarios. 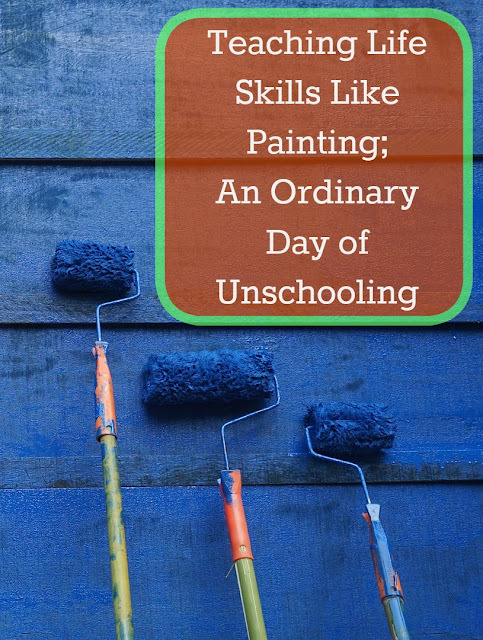 It was loud and it does get annoying to play with three boys who are yelling, giggling and just plain silly but I know they learn so much too; counting, adding money, making change, reading, deciding if college careers are worth the time and money, etc. I decided to send them outside. They brought out the hover craft and the all terrain vehicle and used those in the snow, sand and water. I finally convinced them to stay along the shore walking with them. Then, when the vehicles stopped working they went right to using tools (and their hands) to chop up the ice. I've long since stopped asking them not to play in the water. I've learned that boys are just compelled to mud, water, ice, and all that messy, cold, wet stuff. They thrive on it and I'm sure they're learning all kinds of wonderful science and cause/ effect stuff. It was pretty cold today but they all had on boots, ski pants, gloves, winter coats and hats so even though everything isn't 100% waterproof they are wearing all that I can think of to help them stay warm and dry.